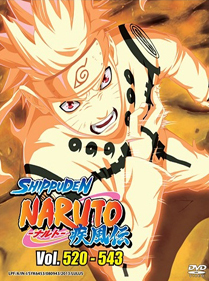 Naruto is the story of Naruto Uzumaki, a shinobi who wants to obtain the title of Hokage. However, an incident occurred 12 years ago, when a demon fox attacked the village; many shinobi fell, until the 4th sealed the demon within a baby. As a result, the adults see Naruto as the demon. Now a Genin, Naruto is part of a three-man team - the members are Naruto, Sasuke, Sakura, and their instructor, Kakashi. Together, they will face many challenges, make friends, face deadly enemies, and try to survive each other.